Sony and Nokia's decision to push dual-core processors in their flagship phones should be applauded, according to ARM. Although flagship 'superphones' from the likes of HTC and Samsung have made a big deal about their quad-core processors, Sony and Nokia have insisted that there are advantages to a dual-core instead. 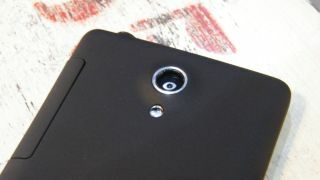 That was clear from the marketing around the Sony's latest offering - the Sony Xperia T, which was unveiled at IFA 2012. It is also a route Nokia is taking with its latest flagship, the Nokia Lumia 920. ARM's chip designs obviously cater for any approach the manufacturers wish to take, and the British company believes that differing decisions are a great aid to innovation. "What you are seeing in the marketplace through these discussions is that system on a chip vendors are taking different approaches to delivering performance," ARM's director of mobile solutions, Laurence Bryant, explained to TechRadar. "Some companies think that a dual core is the best solution, other companies are going with quad core or a four plus one as Nvidia has done with the Tegra. "We applaud them all. That diversity is what gives you the innovation in the market place. "We're not going to sit and judge - we work closely with the partners but it's up to them what IP to take from us to deliver compelling products into the marketplace." Although the processor speed remains to the fore in the way phones are sold to consumers, Bryant believes that the focus on features and not specs is laudable. "I like the way in which the smartphone market has emerged and that it's about features and what the device can do for you and not about the tick box of tech beneath it," he added. TechRadar pointed out that ARM itself suffered from a lack of focus about what went into a phone, perhaps not getting the credit it is due for the sheer number of phones that its designs feature in. "That's the inherent problem in terms of perception," said Bryant. "But ARM believes in its business model of offering great IP to the great vendors which create this innovation. "ARM is proud of its position and the products and proud to be associated with the great success of its partners."